If you watched the Grammy’s on Sunday, you saw a lot of action. 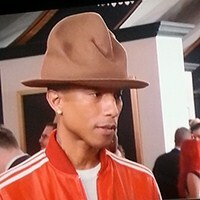 One of the biggest headlines was singer/songwriter Pharell’s hat. If his goal was to make a fashion statement, he definitely did that…and more! He wore a top hat that looked similar to what a forest ranger would wear. It also looked similar to the hat in the fast food chain Arbys’ logo. Arby’s noticed and tweeted at Pharell. At the time of this article, their tweet has 83,000 retweets. It’s instances like this that have me in love with social media. A creative person at Arby’s (or their ad agency) took advantage of the moment and the internet went crazy for it. 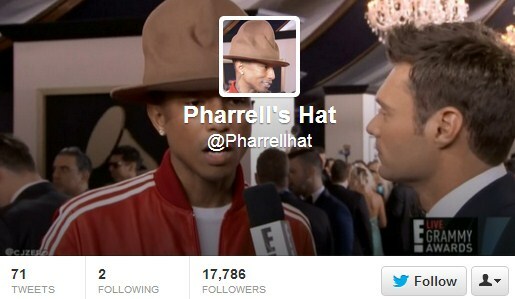 Someone even created an account for the hat itself. The team behind Smokey the Bear chimed in too!
. 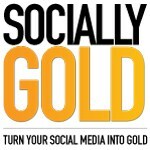 Be on the lookout for pop-culture happenings your brand can weigh-in on. 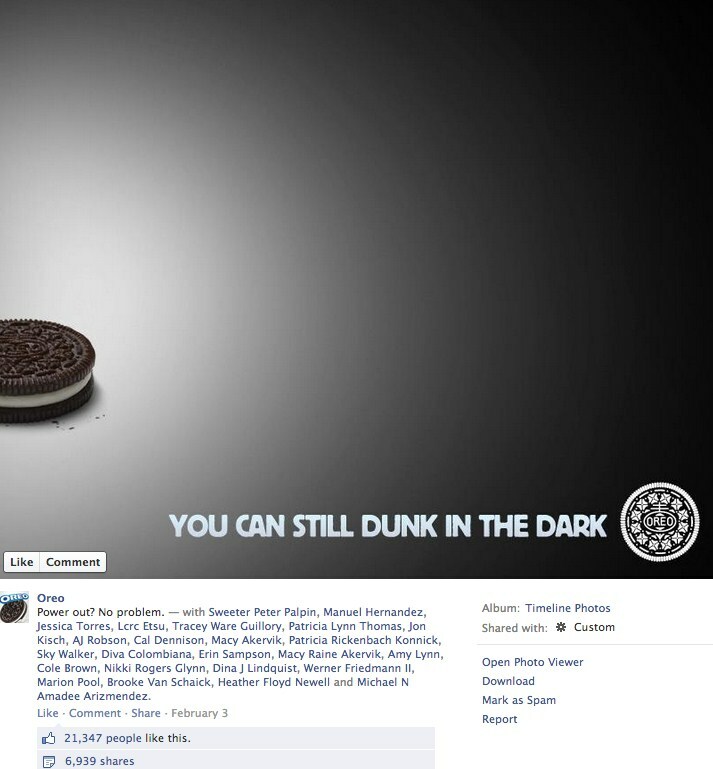 Oreos had a similar moment of glory during last year’s Super Bowl. Check out what they posted that got the internet buzzing.